The final report of the Lessons Learnt and Reconciliation Commission (LLRC) is ready to be submitted to the President by November 10, media coordinator of the LLRC Lakshman Wickramasinghe said today. The deadline given to the LLRC for submitting the report to President Mahinda Rajapaksa is November 15, however the commission had stated that it would hand over the report prior to the scheduled date and that necessary arrangement were being made for this. 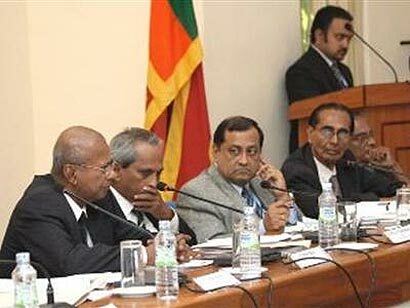 The LLRC, appointed by the President on May 05, 2010, held public session from August that year to January, 2011, Wickramasinghe said. Verbal statements of around 1000 persons and written statements of another 5000 people were obtained in order to compile the report, which is to contain the facts and circumstances which led to the failure of the ceasefire agreement in 2002 amongst other facts. The Lessons Learnt and Reconciliation Commission had previously announced that the content of the report cannot be made public by the LLRC and that it should be decided by the President himself.